Rein 'em in, Boss Lady style! 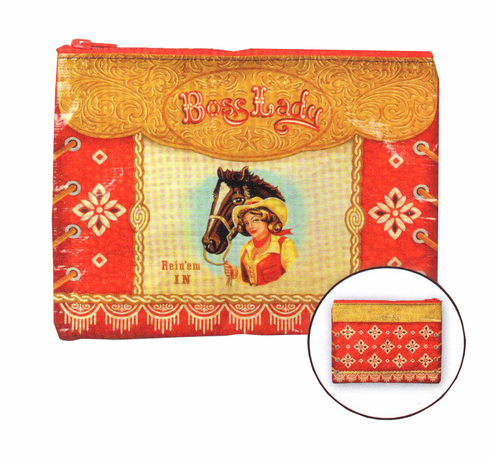 95-percent recycled woven polypropylene material has a crushed, wrinkled look when sewn into Zipper Pouches. This is normal for the high recycled content. We love the earth. Printed with lead free inks, Blue Q's Zipper Pouches are the bags that go in your bag. Perfect for cosmetics, pencils, your passport and more! Measures 9.5 x 7.25 inches.